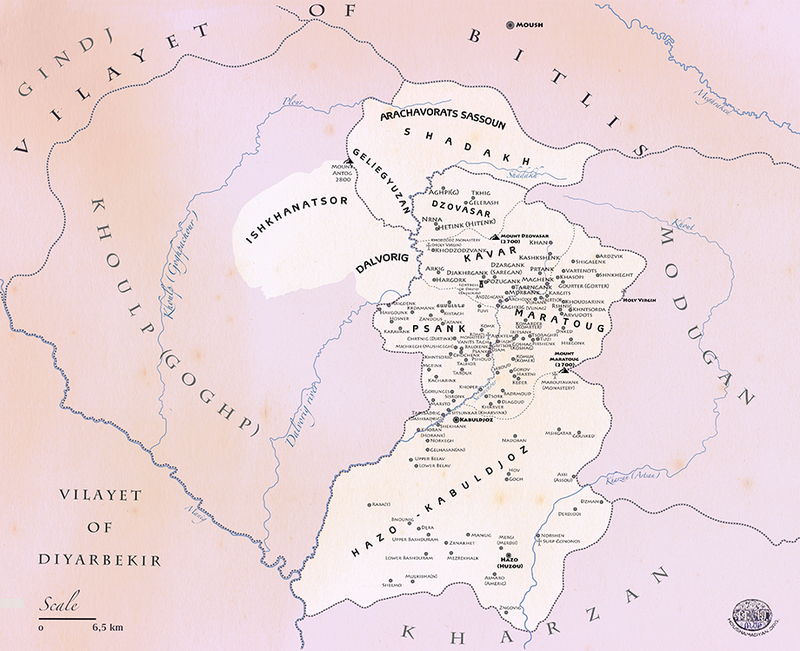 The kaza of Sassoun during the last years of the Ottoman Empire. Please see a bigger version of the map below. Click on the below image to see details. The list of the current names of the villages in Sassoun is presently underway. We will publish them soon in this page. The map is prepared by Gegham Badalyan, and the cartographer is Mihran Badalyan. Reworked by Houshamadyan. The kaza of Sassoun during the last years of the Ottoman Empire. 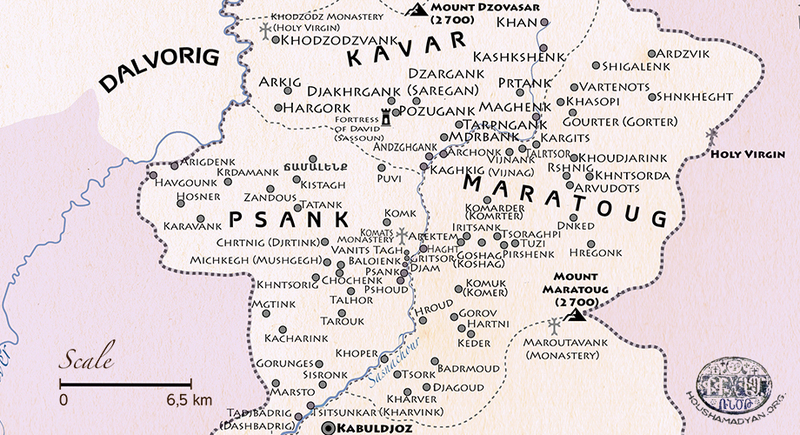 The borders of the nahiyes that are part of the kaza can also be seen. The region of Sassoun during the Ottoman era. Houshamadyan will publish a trove of material related to the life, history, and heritage of Armenians who lived in this historic region.